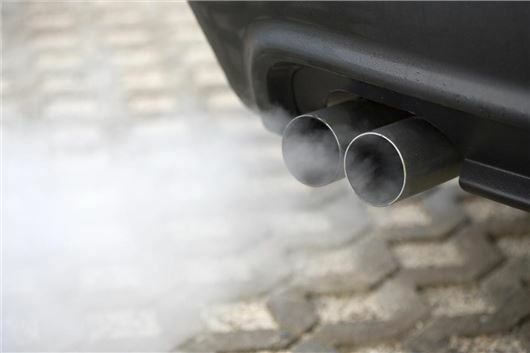 Drivers in UK city centres could be hit with on-the-spot fines if they leave their engine running unnecessarily. Nottingham City Council is the latest to announce plans to dish out £20 penalties if drivers are caught running their car's engine when parked or stopped for an extended period. It follows similar moves by councils in London, Reading and Norwich - all of which are aiming to cut down on air pollution. Although rule 129 of Highway Code states that 'you must not leave a parked vehicle unattended with the engine running or leave a vehicle engine running unnecessarily while that vehicle is stationary on a public road' most councils haven't enforced this rule - until now. Westminster City Council is currently running a #DontBeIdle campaign intended to encourage the 9.9 million people who drive into the capital every year to turn off their engines. “Measures like this can play a big part in changing driver behaviour." As part of the campaign, the Council has launched a website where people can report sightings of vehicles left with their engines running necessarily. Marshals are patrolling the streets and, if a driver refuses to turn their engine off when asked, they could be handed an £80 on-the-spot fine. "Measures like this can play a big part in changing driver behaviour, by encouraging them to really think about how they reduce their emissions footprint," said the RAC's head of roads policy, Nicholas Lyes. The motoring organisation added that it could be good news for motorists in city centres. "If schemes like this can make enough of a difference in reducing emissions, there may be less of a temptation for local authorities to implement wider charging schemes for drivers." Although some drivers like to turn off their car's stop-start feature if fitted, the RAC says it should be left switched on so your engine automatically cuts out when stopped. Around 30 local authorities are believed to be enforcing penalties for idling vehicles, with most dishing out fines around sensitive areas like schools and hospitals. Perhaps you could answer a question? There is a big issue these days over car emissions, however, am i correct in thinking that remapping can virtually eliminate bad emissions, particularly on Diesel engines, and if so, why isn't this done legally to help with the issue? My car has idle stop and go, but there are circumstances where it won't cut the engine when I come to stop, and even if it does stop, it will re-start the engine if the EMS requires it. Can I expect an on-the-spot fine if I don't over-ride the engine management system and manually turn the engine off? What happens if the car is in the middle of DPF regeneration and has to keep the engine running to complete the cycle? Who exactly decides that the engine is unnecessarily on? Considering the recent heatwave we've had, I've left my engine running to keep the car cool so my two year old daughter and heavily pregnant wife don't swelter. My Seat Alhambra is fitted with 'stop - start' which I find annoying whilst moving slowly in built up traffic. However if I am parked and have the air con running, the engine will automatically start up to reduce battery consumption. What am I supposed to do, allow the battery to become discharged? Those that give the excuse that they needed the A/C whilst parked, therefore the engine running are just plain lazy or a little stupid. Another scenario is when you have completed a long run and park in, say, Nottingham, leaving the engine running for 3 minutes to cool the turbo charger. Would this be considered unreasonable because all you are doing is saving ££££'s for a new turbo early on in cars life? Excuse me, but how do you expect an air-con to work without the engine running? tell me and I will be more than happy to turn off my engine and stay cool at the same time. Open your windows and step outside so aircon is not required! We have a nearby school, at least for the moment, and parents / guardians run engines for ages and most annoyingly some diesel engines so it's not simply air pollution but noise pollution and it's annoying. what a stupid un-enforceable law. My car has start stop. its a simple start stop system that stops the engine when the car stops moving but after a couple of minutes will start the engine again but then does not turn the engine off again until I have moved a small distance (changing back in to neutral and then its active again). i.e. stop start only works once until the car moves again. So I would get a fine if the start stop system is working but started the engine again (whilst parked in neutral). This law is a flawed concept.